Direct sales efforts on a local & national level. Train new franchises & open new markets. Salary will be based upon experience, plus commission & benefits. Please visit Tradebank.com for more information. Please forward your resume to jmeyer@tradebank.com. ITEX Corporation (OTCBB:ITEX) plans to invest $250,000 into its network of independent licensed brokers and franchisees, with the expectation of strengthening the company’s position in the industry. The capital will be generated from the company’s operational profits. According to CEO Steven White, the investment represents the company’s ongoing commitment to its broker network. The funds will be used to create a standardized technology infrastructure to facilitate communication, collaboration, and transactions among its members. The infrastructure standardization will be accomplished using Dell products that are built to order and then shipped directly to ITEX’s broker locations throughout the United States and Canada. 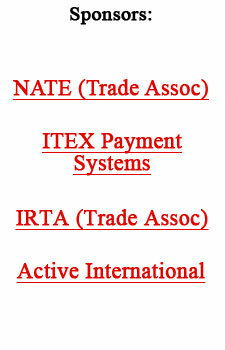 For more information see www.itex.com, or call Alan Zimmelman at (425) 463-4017, or e-mail: alan@itex.com. Megastar Oprah Winfrey traded on her stardom and television show coverage with General Motors for 276 new Pontiac G6 autos, which she then provided to audience members (chosen for the opening show because friends or family wrote to Oprah about their need for a new car). Interestingly, it all began, as so many deals do, with people meeting people. In this case Larry Woodard, CEO of the ad agency Vigilante of New York, the agency that handles African-American marketing for Pontiac, met Oprah’s best friend Gayle King in an airport VIP lounge several months ago. The agency, wanting to make a big splash with the G6 for its fall introduction, sent a formal proposal to Oprah via her friend Gayle. And over the next several months the barter deal was cemented. It could prove to be a real home-run for General Motors, as the $7.5 million retail value of the cars equaled the cost the company would have paid if they bought ads for the same amount of time devoted to the story on the opening show. However, this promotional barter deal was far and above just time, as it was almost a personal endorsement from Oprah...and she has tons of credibility with consumers. Furthermore, nearly every paper in the U.S., and many around the world, ran the story resulting in an enormous amount of coverage and added publicity for the Pontiac G6. Frank Sang, CTB, and President of Shanghai Barter Exchange, has provided BarterNews with this special report on the happenings in China. The first China Barter Summit Conference was held in Qingdao City, July 9 - 11, with the purpose of establishing a reciprocal trade alliance and promoting the commercial barter industry in China. The China Reciprocal Trade Alliance (CRTA) was founded after two years of preparation and now includes key barter companies as well as larger corporations with established barter departments located in Shanghai, Beijing, Qingdao, Dalian, and Shenzhen. According to Sang’s well-written report, the establishment of the CRTA will accomplish several purposes: advance the barter industry in China; enhance the cooperation with other barter associations and companies worldwide; raise the understanding and value of barter to the Chinese business community; aid the economy of China; and bring to members within CRTA a common code of ethics and a standardized regulatory system. Mr. Frank Sang (CTB), President of Shanghai Barter Exchange, and Mr. Wu Zhizhuang, Chairman of Qingdao Barter Exchange Center, were nominated and elected as the first Chairman and Vice Chairman of the China Reciprocal Trade Alliance. Commerce Secretary Donald Evans says the federal government is going to debut a new way of measuring growth in service-related businesses. And those in the know think it’s about time, as service businesses make up the fastest-growing part of the U.S. economy. The economy shifted from a goods-producing to a service-producing economy about 40 years ago, according to William Barron, acting director of the Census Bureau in 2002. 2nd Annual BXI San Diego Fall Trade Fair. Saturday, October 23 at Party Pals, 10427 Roselle Street, from 10 a.m. to 4 p.m. For directions call (619) 472-2929. BXI Ventura-Santa Barbara & BXI West Valley Holiday Trade Fair. Sunday, November 7 at the Oxnard Courtyard by Marriott, 600 East Esplanade Drive, from 10 a.m. to 4 p.m. For more information call (804) 376-9466 or (818) 758-2929. TradeAmericanCard 2004 Barter & Business Expo. Sunday, December 12 at The Grove of Anaheim, 2200 E. Katella Avenue, from 3 p.m. to 9 p.m. For more information call (714) 532-1610. The reality TV show Fear Factor has “cleared” more than 95% of the country, including Fox’s owned-and-operated stations, exclusively through barter deals in which stations exchange ad time for programming. BarterBee.com has announced its trading platform for bartering CDs and DVDs on its web site. For $4.95 a month, members can list their unwanted discs for new and better ones. Most people know the Roman Catholic Church is the wealthiest not-for-profit organization in the world. But can you guess who is #2? That would be Harvard University with an endowment of $22.6 billion. Early signs indicate that hotel rooms will be pricey for the holidays this year, as business travelers fill up rooms that otherwise would be destined for holiday shoppers and vacationers. PricewaterhouseCoopers is raising its forecast of hotel rates and occupancy to the highest growth level since 1984. And Washington-based Travel Industry Association of America is predicting that Americans will collectively take 278 million trips this fall, a 3.1% increase from the year before.